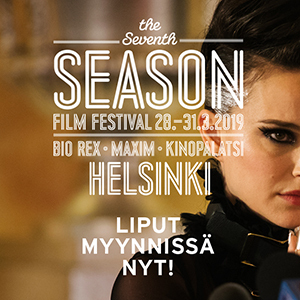 For the next eleven days Helsinki turns into a cinematic heaven as the 31st edition of Helsinki International Film Festival – Love & Anarchy takes over the city’s silver screens. Five films compete for the HIFF Audience Award. The 31st edition of HIFF begins today with the sold-out Opening Gala screening of Pawel Pawlikowski’s COLD WAR. The winner of the Best Director Award at Cannes is a love story set in Cold War era Europe. The ticket sales of the festival have started on a high note. Audience favourites include the visit of the legendary American filmmaker Spike Lee, Boots Riley’s comedy SORRY TO BOTHER YOU and the absurd action film MANDY. Some of the sold-out movies will get additional screenings at the festival. The additional screenings will be revealed on Tuesday. Helsinki International Film Festival is proud to present its first national competition. Cut to the Chase – R&A Shorts national competition features 32 Finnish short films competing for the R&A LIFT award. Altogether HIFF screens 164 feature films and 191 short films during the 11 days of the festival. The festival also welcomes a newly announced guest: director Lance Daly presents his historical drama BLACK ’47 set in Ireland’s Great Famine of 1847. Daly will be in Helsinki and available for interviews from 27th to 30th of September. The five films competing for this year’s HIFF Audience Award are BIRDS OF PASSAGE, DAUGHTER OF MINE, THE HEIRESSES, PETRA and SORRY TO BOTHER YOU. Go and vote for your favourite at the National Audiovisual Institute’s website. The winning film will be screened as the Film of the Month at Cinema Orion in November.